Today is the feast of Corpus Christi, to my mind the greatest feast day in the whole Christian calandar. 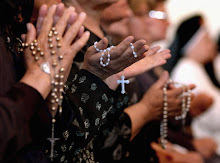 It is a great pity that the bishops of England and Wales decided in 2006 to transfer the celebration of this feast to the following Sunday, thus in effect depriving it of ita status as a Holyday of Obligation. In times gone by, it would be the occasion of many outdoor processions, and there was a particularly prominent one in Midsdlesbrough. When I was at school, it was a holiday as well as a holyday. Nowadays the feast passes almost unnoticed. 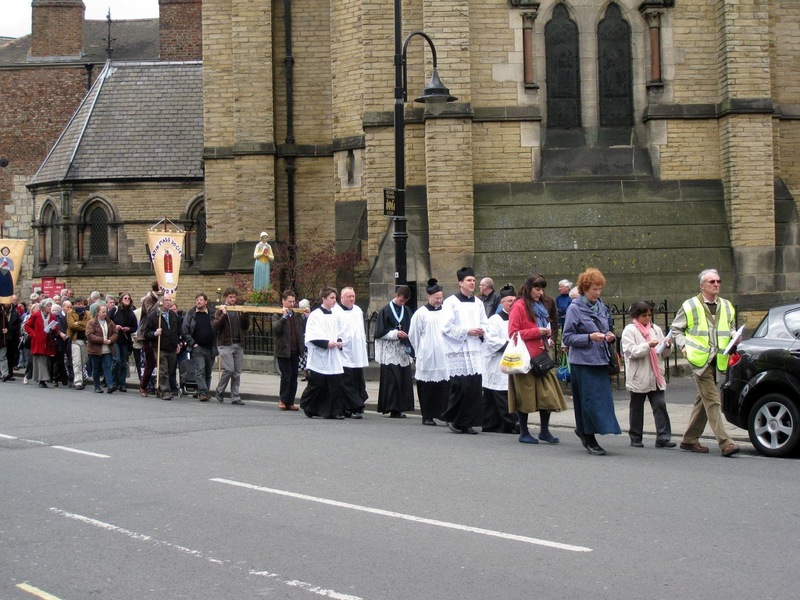 For anyone who is lucky enough to live in a part of the country where there is a Corpus Christi procession, taking part would be a rewarding way of professing the faith in a public way. This is a reminder that Thursday 30th May is the Feast of Corpus Christi, and until 2006 this was a Holiday of Obligation. 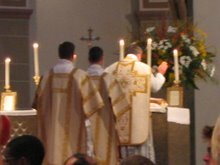 In that year, the Bishops' Conference of England and Wales decided to transfer the feast to the following Sunday, a practice that had already been established many European countries. 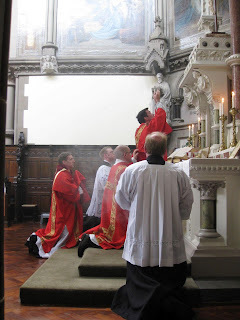 In my view, this is a great pity, and has resulted in this very important feast being downgraded in the eyes of most people to be the same status as an ordinary Sunday. The great monstrance has to be seen to be believed. It is six feet tall, and is winched into its position in a throne above the altar﻿. As this Sunday is the third Sunday of the month, there will be Benediction after the 4pm Mass at English Martyrs' Church in York. The coming of Ascension Day, tomorrow, reminds me that we are still waiting for the Conference of Catholic Bishops of England and Wales to make a statement transferred Holydays. One might have expected them to have something to say following their recent meeting in Rome. The bishops were taken a little bit by surprise when there was widespread opposition to Holydays being transferred. It was widely rumoured that there was agreement that the matter should be reviewed, but the years pass by with no public statement. Maybe the bishops need a gentle reminder. The York pilgrimage probably accounts for a spike in UK figures, and USA is generally at or near the top. However, the showing of China, India, Ukraine and Russia would seem to suggest continuing interest in traditional Catholicism in Asiatic and former communist countries. All good news for the Church. Here is the procession passing through The Shambles , where St Margaret Clitherow lived. 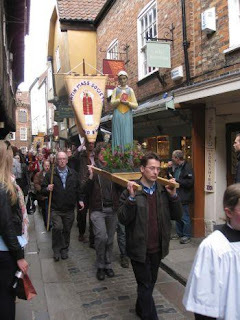 You will see that the statue of St Margaret Clitherow was carried along with a couple of banners, one for the Latin Mass Society and th other for St Margaret Clitherow. The procession continues off the edge of the picture. Here is the elevation at the Mass celebrated by Canon Montjean.